There are many obstacles on the path towards sustainable, inclusive, healthy cities, but there’s certainly enough fun and inspiration to go around, as well. Photo by kk9k/Flickr. With every year that passes, the challenges to creating the sustainable cities we want to live in seem to multiply. Our cities are growing larger, their roads are more congested, their air quality is deteriorating, and their contributions to climate change remain significant. The scale and pace of urbanization across the globe is, in many ways, outpacing today’s solutions. While it’s no easy task to build a more sustainable and livable urban future, does that mean it’s all doom and gloom? Of course not! 2014 has shown us countless examples of the fun side of urban sustainability and plenty of reasons for optimism. Whether it’s new games for sustainable transport lovers, folklore’s influence on urban development, new platforms for citizen engagement and interaction, or dancing traffic safety zebras, we at TheCityFix are looking forward to documenting more of the innovative and downright zany ways citizens and city leaders are creating more sustainable cities for people around the world. Without further adieu, here are the stories from the past year that you thought were the most fun, the top five Friday Fun entries of 2014. Maps are fun. Data visualizations are fun. Maps and data visualizations of the world’s evolving urban landscape are really fun! Not only is it astonishing to see the rapid rate at which urban growth is occurring worldwide, but visualizing this growth also reveals some interesting trends. For instance, megacities like Dhaka and New Delhi are set to explode in the next half-century, contributing to the continued growth of Asia’s urban population. At the same time, many African countries will go from less than 25% to 75% urban between 1950 and 2050. Not to be left out, every single country in South America is expected to more than 75% urban by 2040. A safe and convenient place to park a bike can be the difference between choosing to cycle and needing to drive for your morning commute. Even in cities with robust bike infrastructure, cyclists often have to haul their bikes onto public transport or take their bikes inside their office due to lack of parking facilities. Two cities – Tokyo and Portland – have two very different and innovative answers to the bike parking challenge: underground parking controlled by a robot and bike valet. While neither solution is perfect, both provide an important step towards creating bikeable cities that support active, sustainable transport. If number four on this list didn’t make it clear, city residents are clamoring for creative ways to build a culture of urban cycling. While cities like Copenhagen and Portland have built international reputations for bike-friendliness, they’re not the only cities thinking out of the box to make infrastructure and design better serve cyclists. 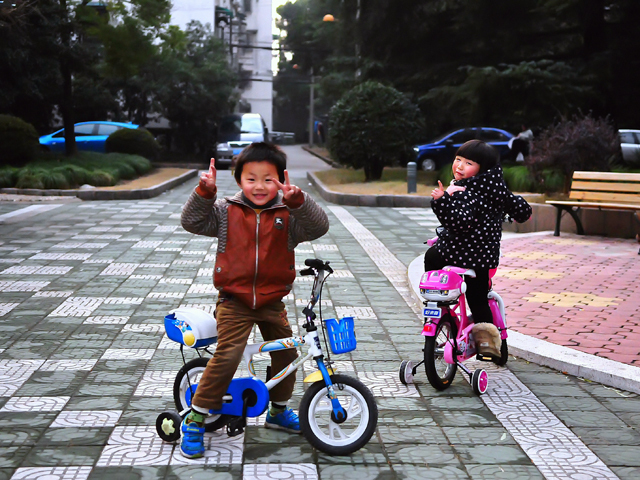 Hangzhou, for example, boasts the largest bike-sharing system in the world and has one of the most extensive and well-designed networks of dedicated bike lanes in all of China. These measures are helping to curb rising car ownership in the city, a trend currently creating challenges in other Chinese cities. 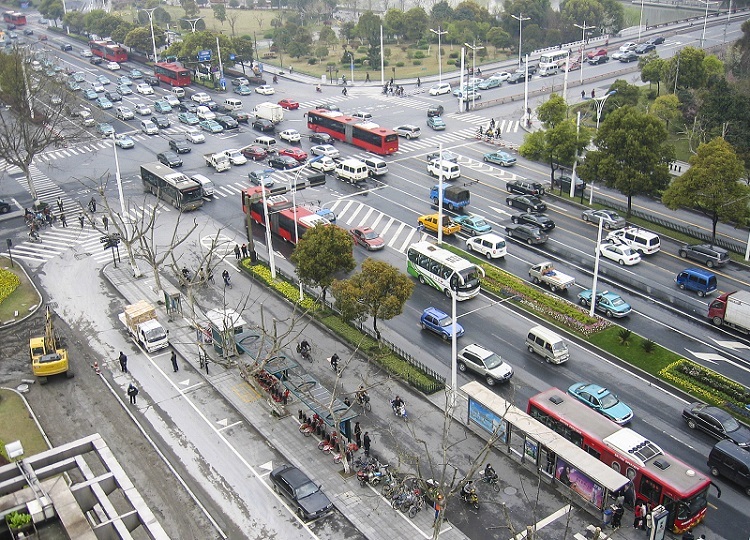 Hangzhou’s bike lanes make cycling an attractive form of active transport, and have been found to reduce car usage and auto emissions. Photo by Bradley Schroeder/Flickr. When Hamburg announced in January 2014 that its new network of green spaces would eliminate the need for cars in the city within 20 years, it made headlines across Europe. When Helsinki joined Hamburg in July by unveiling plans for a “mobility on demand system” that would make car ownership “obsolete,” it made waves worldwide. Together, these two cities are at the forefront of a movement to explore what our cities would look like if we didn’t need cars to get around them. With car-free days, weeks, and even months becoming increasingly common in cities worldwide, is the world ready for a car-free major city year round? Take a trip on Moscow’s extensive metro system, and you’re likely to have a furry companion along for the ride. 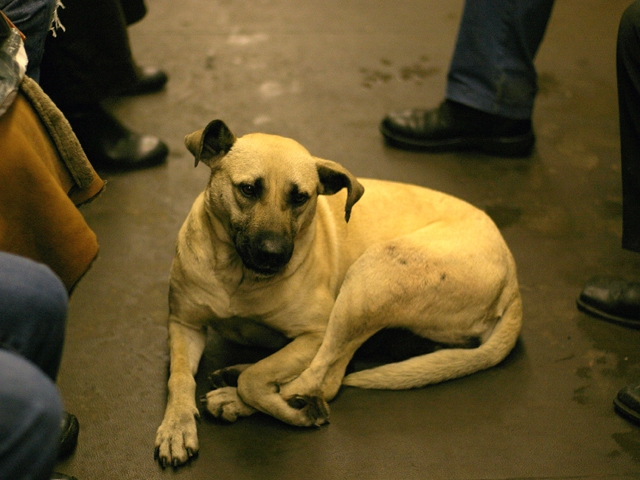 Stray dogs are known to ride the city’s metro – one of the world’s largest in terms of both length and ridership – right along with their commuting human counterparts. Navigating a large and complex metro system is hard enough for most humans, but Moscow’s commuter dogs find their way around through a combination of sight, smell, and familiarity. Photo by Adam Baker/Flickr.